For travelers on the hunt for a relaxing vacation, we've got you covered. Portugal has been recognized again and again as one of the best wine destinations in Europe. 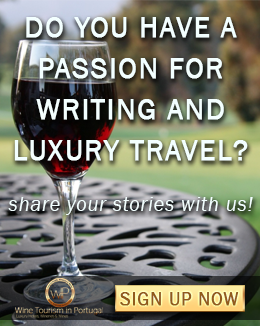 From the best wine tastings in Europe to lavish food & wine vacations. From countryside retreats to historic locales right in city center, all of which are just perfect for your next luxury wine tour holidays. Worldly recognized for its wines and beautiful scenery, Douro's quiet country living has a strong appeal to those looking to escape the hectic city life. The river forms the backbone of the valley named after it, winding from the Spanish border to the sea. On the bordering slopes, vineyard terraces and rows were artfully carved into the land like steps, spotted here and there by century-old manors, among them the beautiful Six Senses Douro Valley. Located near Port wine town and cruise centre of Peso da Régua, on a beautiful bend in the river, it is the first Six Senses Hotel Resort Spa in the country. This hilltop manor, entirely renovated, offers incredible views of the valley and the river below. This is one of our clients' the favorite places to stay in Douro Valley so we have bookings when it is sold out anywhere else. The restaurant offers a range of indoor and outdoor dining options, including a chef’s table where you can join a small group at a meal that is prepared and hosted by the chef, right before your eyes. The pool has amazing surroundings - vineyards and river galore - but the spa steals the show here with an intimate yet luxurious experience for those who love the finest Food & Wine vacations. This is the Six Senses, after all. And no trip to the Douro Valley would be complete without some time on the water. The journey upriver is one of the most scenic routes in the world. River cruises can last from an hour to one or more days, with or without meals and vineyard visits, and are a delightful way to enjoy the landscape. On board of a private sailing boat with a picnic on board, you'll have to time to soak up the atmosphere and take in the sights. 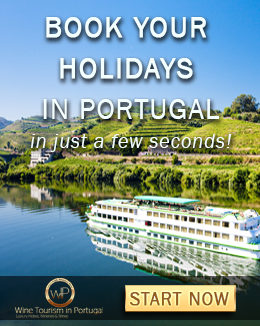 For a longer duration and more comprehensive tour, you can choose our 7-Day Private Yacht Cruise - or a 5-day tour in the Douro Valley - which takes the best the region has to offer and creates an unforgettable experience. Portugal’s second city - but with no shortage of cosmopolitan attractions - is only a three-hour drive from Lisbon as the real feel of Europe Vacations. After a stroll through the city's medieval quarter - with its steep, narrow streets and unexpected views of the river and its bridges - cross over the emblematic double-deck iron bridge, to sample the deservedly famous port wine. Sitting in between several port lodges - where for centuries wines have been blended and matured - The Yeatman stands out. Billed as a luxury wine hotel and spa, everything in it revolves around wine. The wine traditions have seeped into the very structure of the hotel, built into the side of the hill in terraces, like a vineyard. It has a wine cellar - one of the largest in Portugal - wine bar, wine restaurant and even a wine spa. The hotel itself could keep you occupied for days. You can soak in a hot tub, get a perfumed massage, wallow in one of the two swimming pools - one indoors and another outside - overlooking the city centre, or take a guided tour with the in-house sommelier through the 25.000-bottle wine cellar. 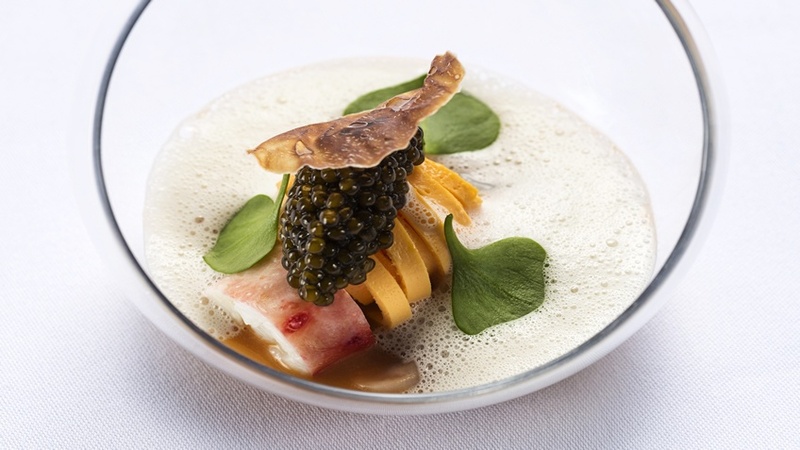 The hotel's own restaurant lives up to the expectations surrounding a two-time Michelin starred spot, with a creative and sophisticated menu rooted in both tradition and modernity. If you do decide to venture beyond the hotel, this cultural and wine tour with a river cruise sums up everything you need to do before heading home. 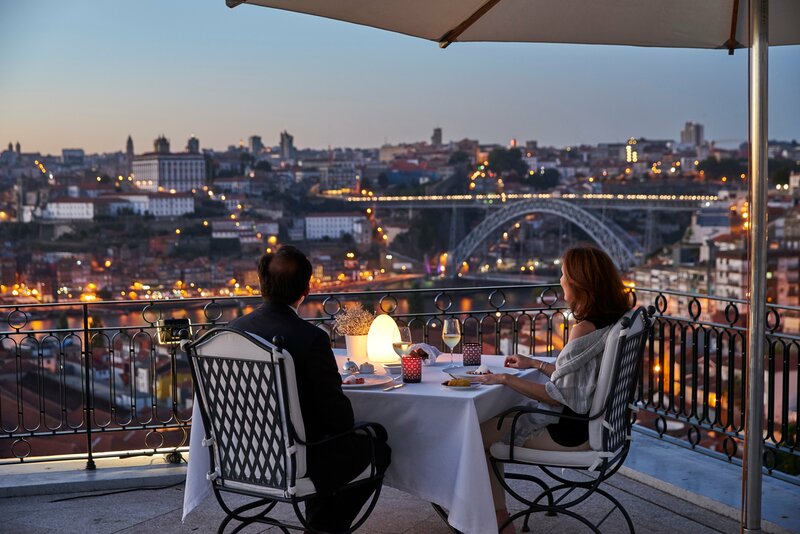 Best yet, if you're looking for an experience that runs smoothly from the moment you start planning to the drop off at the airport, our Luxury all-inclusive Porto Tour is the perfect pick. You will have a private driver with you the whole time, allowing for you to enjoy the flexibility a luxury private driver provides - especially in such a hilly city - and you'll have the opportunity to experience the best hotels, restaurants and cultural getaways the city has to offer and the best wine tastings in Europe. The Portuguese capital has become unexpectedly fashionable as travellers from all around the world set foot upon this historical yet cosmopolitan city. However, there's so much more to explore beyond the city limits, often just a short drive away. The spectacular stretch of Atlantic coast just north of Lisbon, is famed for its crashing waves and beautiful sandy beaches. The stylish seaside village of Cascais is an easy train ride - just over half an hour - from Lisbon, but is relatively unknown. It's a picturesque town with a fantastic harbour and lots of shops and restaurants. Only five minutes from Cascais, The Oitavos is a luxury hotel set on a 168-acre estate of waving dune grasses and stone pines. It's a tremendous modern construction of steel and glass, coloured in hues of blue and grey inspired by the sky and the ocean, that make you feel as if you're part of the landscape outside. Also, this five-star hotel is encircled by a top-100 rated links golf course. If you don’t like golf, it really doesn’t matter. 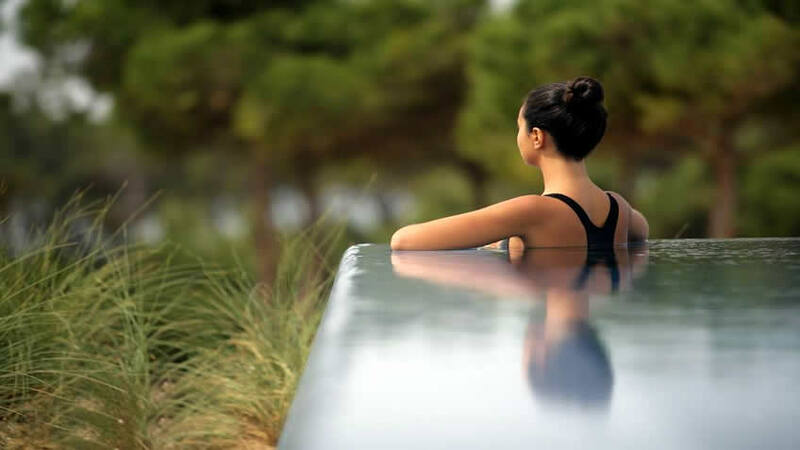 There’s a spectacular outdoor infinity pool that looks over to the ocean and an enormous spa with a host of organic and ocean-inspired beauty and health treatments. Regardless of your reason for traveling, no trip to Portugal is complete without a stop in Lisbon. It’s easy to find what you’re looking for as the city reinvents itself every day. Old palaces and churches sit side by side with state-of-the-art museums and fashionable shops. As downtown evolves, a new wave of up-and-coming neighbourhoods filled with cosy cafes, and trendy restaurants and bars has emerged. There's a lot you can do in half a day. Our culture and wine tour in Lisbon will take you on a guided walking itinerary through the historic centre, followed by a comprehensive wine tasting - which will give you the opportunity to sample a wide range of wines from different Portuguese regions - and a light lunch at one of the most popular wine bars in the city - which bottle-covered sealing is nothing short of Instagramable. 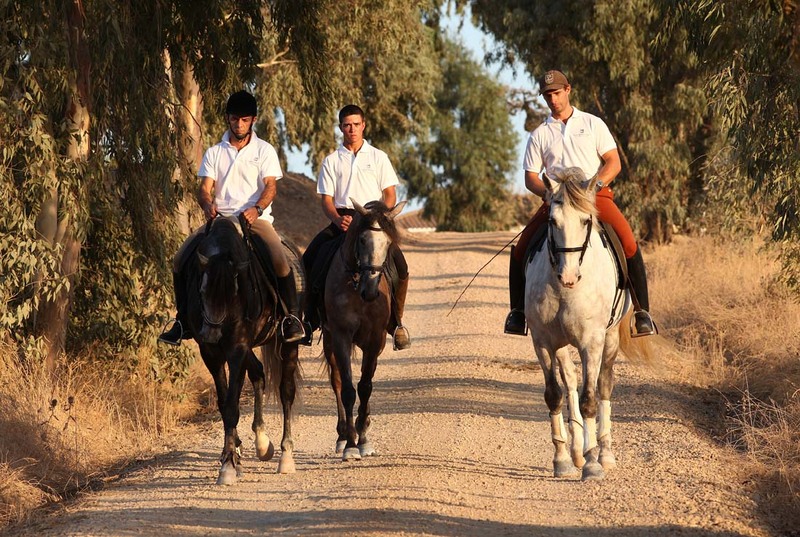 Alentejo's slow paced vibe is a big draw for visitors seeking to unwind. Away from the busy coastal resorts, it's a timeless, uncrowded, wildly beautiful place. This big fertile region - a third of the country by area - is being touted both the Provence and Tuscany of Portugal and has confidently taken its place as an area of outstanding wine production. If you are looking for the opportunity to spend the night at one of the region's incredible wine estates - without renouncing to the most exclusive comforts granted by modern-day resorts - L'AND Vineyards is the answer. This oenophile's dream resort, located just an hour’s drive from the capital and Lisbon Airport, is the perfect haven for those keen to explore the countryside and find out more about Portuguese food and wine in a relaxing environment. Their modern Michelin-starred restaurant offers wine pairings with each dish, which ambitiously seeks to reinterpret Portuguese cuisine. Beyond Évora – Alentejo’s main city and university town - the region has much to offer. The wild and remote beauty of Herdade de Malhadinha Nova’s luxury retreat down south in Alentejo’s Beja region is perfect for those looking for a secluded hideaway, a place to let the kids run wild, or a secret spot to indulge yourself. Whitewashed rooms are spacious and elegant, the spa offers an array of indulgent treatments, and restaurants does contemporary riffs on traditional homegrown produce. The infinity pool offers gorgeous views of the vineyard and plain ahead. With so much free time, visitors have no choice but to take advantage of the great outdoors - a sprawl of plain and cork oak forests that stretch as far as the eye can see, the massive Alqueva reservoir, and the glorious beaches – though not many people seem to know about them. This Portuguese region tends to fall under the radar, and that’s why so many love it. Just to the south of Douro, the Dão region brings a certain freshness to the discussion of Portuguese red wines. This part of the country is home to some of Portugal’s most distinctive red wines, and rapidly improving whites. Dão’s western neighbour, Bairrada, is home to a largely undiscovered array of treasures unjustly ignored by Portugal visitors. The forests and hills are dotted with luxurious palaces to stop over - and stay in for the night. Among the grandest is the Bussaco Palace, a hilltop castle built in the 19th century by King Carlos I, and later converted into a Hotel. Early in the 20th century, grand thermal spa hotels sprang up around the region. 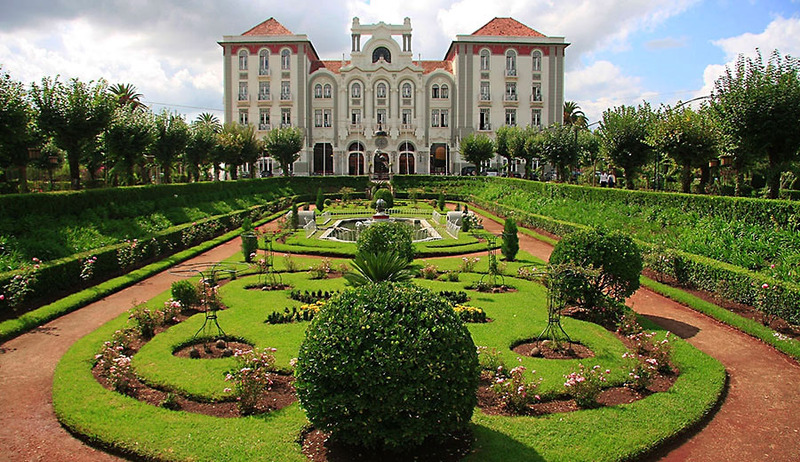 Visitors today can enjoy a nostalgia-filled stay and wallow around among the grandeur of the Belle Epoque Curia Palace Hotel, SPA and Golf. A visit to the cellars of the Aliança vineyard is also a must-do. In addition to excellent wines, the Underground Museum contains African art, Portuguese ceramics and other works from the broad collection of millionaire art-aficionado Joe Berardo. 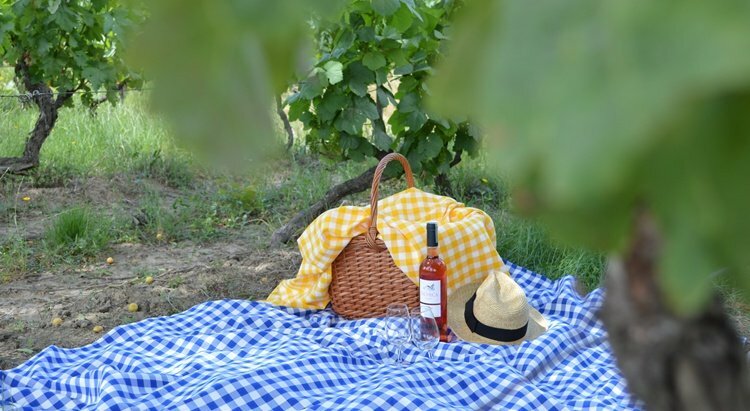 And, as the cherry on top, our 4-day wine and food tour combines all of the above with the ultimate food and wine pairing experiences, for a one-of-a-kind getaway. No one knows better than you what you want. But our staff has the experience and knowledge to show what is available and what is possible. Tell us your plan and we'll do the rest! Custom trips are only limited by your imagination. Our expertise is in creating an itinerary that runs smoothly and is perfectly suited to your needs. Best wine Tastings in Europe Luxury wine Tours and Douro Vineywards Tastings, here at the doorway to Europe.